When you need to add space to your home and don't want to expand farther out onto your property, the only place to go is up. Adding a second story can double the living space and is an exciting change for you and your family, but there are a few things to consider before getting underway with this remodeling project. Discuss with your remodeler how local zoning and health regulations may affect your plans. Rules and regulations, such as allowable "Floor Area Ratios", "Lot Coverage", and "B100" are critical to know about up front before you start designing and building. When you add a second floor to your home, you will likely want to make changes on the main floor. You probably have one or more bedrooms that will move upstairs, so what do you want to do with those rooms once they are vacated? Do you want to create a larger space by knocking down walls? Could you use more room in the kitchen? If your laundry is currently in the basement, do you want to move it up to the first or second floor for easier access? And how will the addition of a staircase to the second floor impact the current layout? A second story addition does more than create more space. It demands that you put more thought into the rest of the house, so discuss the possibilities with your designer. 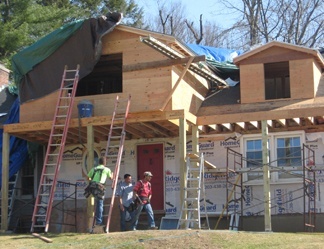 When the builder is ready to start construction of the remodeling project for your second story addition, he is literally going to raise the roof. That means the attic needs to be cleaned out since it will be fully exposed to the elements, the debris, etc. You have to remove everything above the first floor. One Clark Construction client thought he was doing his wife a huge favor by throwing out everything that was stashed in the attic. Since he didn’t consult with her before discarding many of those contents, she was more than a bit upset with his efforts. Don’t leave this chore to anyone else. Plan ahead and allow yourself enough time to sort through those items. >It might be useful to rent a storage unit, such as a Pod, during the construction if you don’t have enough room in your basement or garage. If you expect to discard a lot of items that can’t be donated, arrange with your contractor to get your dumpster well before the project starts. Find an interim place to stay. 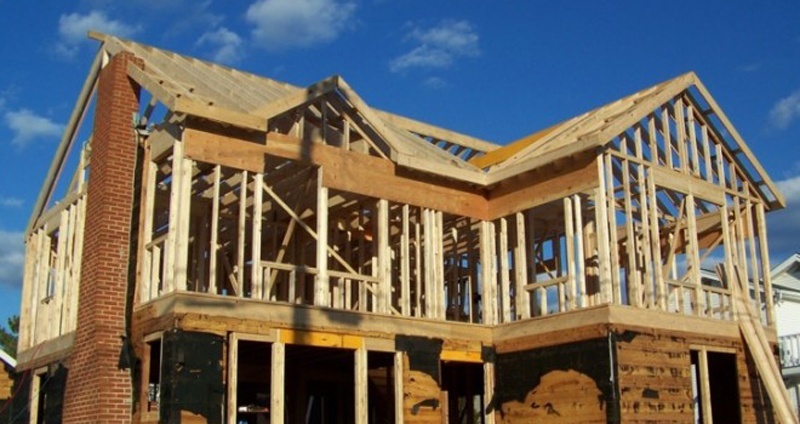 Depending on the scope of the work, your house may not be habitable during some or all of the construction. Ask your remodeler how long you’ll need to be away from home and find a comfortable place to stay for the duration—a hotel, short-term rental, or the home of a very good and accommodating friend or relative. 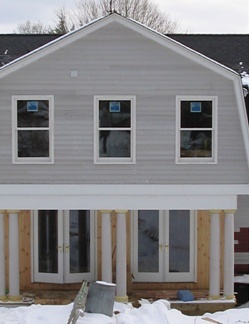 Adding a second story to your house is a major remodel. Take the time to plan carefully, ask questions, and prepare your home and your family for this big step.